Home » About Us » Our Doctors » Vincent K. McInerney, M.D. 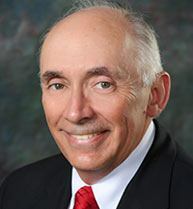 Founding member, Vincent K. McInerney, M.D., graduated from Rutgers New Jersey Medical School in 1977 with honors as one of the top medical students in his class and member of the ALPHA OMEGA ALPHA Honorary Medical Society. Dr. McInerney was one of the first sports medicine fellowship trained orthopaedic surgeons in New Jersey, having completed his Sports Medicine Fellowship at Massachusetts General Hospital/Harvard Medical School, Boston Massachusetts. Dr. McInerney was one of the first arthroscopic surgery trained sports medicine fellows at the Harvard Medical School Program. He returned to New Jersey in 1982 to establish one of the busiest, cutting-edge Sports Medicine practices in the NJ/NY Metropolitan area. He is Assistant Dean, Professor and Chairman of the Department of Orthopaedic Surgery, Director of Sports Medicine and team physician at Seton Hall University School of Health and Medical Sciences. He and his partners' special expertise includes arthroscopic and reconstructive knee and shoulder surgery, minimally invasive surgery, total joint replacements, regenerative medicine, and children's and adult sports medicine. Dr. McInerney is a native New Jersey and has lived in Morris County almost his entire life.